Have you thought of starting your own blog? For people who don’t know, blogging is a great way by which you can let our your feelings and express to the world how you feel.In addition to it you can share your knowledge with Blogging and Make Money Online from your blog as well. The content of your blog will determine whether your blog will be successful or not. You should choose a Platform for Blogging.The best platforms are Wordpress and Blogger. If you are using WordPress, managing your blog is extremely easy thanks to the simple interface. You can write blog posts, include attachments, add different plugins in to your blog as well as get a number of different other options such as a search tool, statistics option and an archives section. You can also download and install a range of different WordPress themes on to your blog in order to stylize it according to your preferences, giving you unprecedented customization options in order to successfully manage your blog. The basic installation package can be easily acquired from the official WordPress page, and it will provide you with a range of different options that will definitely make blogging a better experience for you. If you are not able to go for hosting and want something free then go for Blogger.com.Blogger is a completely free platform and easy to use as well.The best about blogger is its completely free,you need not spend a single penny from your pocket. You just need to spend few bucks for domain and its your wish to move to custom domain or not.There are some free domain providing services like .tk,co.cc etc. On an average, there are over a hundred thousand blogs that are opened daily, on independent websites or on domains such as Blogger and WordPress. However, there are a whole host of different things that you can use in order to make your experience of blogging much better and much more innovative. The first thing that you need to know is that blogging cannot be done on force. You must actually feel like writing something if you wish to make it a success. If you don’t feel good about it, then there will be no flair in whatever you write. As always said content is the king.Try to be original and unique. Don`t copy others content. Plagiarized content can be easily traced by search engines and if your website is found to include such content, you can be sure that Google or other search engines will definitely ban you sooner or later. Therefore, it is very important that everything you write should be on your own, and if you are quoting something or taking material from another website, do make sure that you provide adequate credit to the source. There are many ways to make money online from your blog.You can earn money from your blog through Adsense, Affiliate Marketing, Selling Ad Spaces etc. To earn money from your blog you need decent Traffic. So try to get good Traffic first then you can earn tons of money from your blog. These tips will help you become a better blogger. 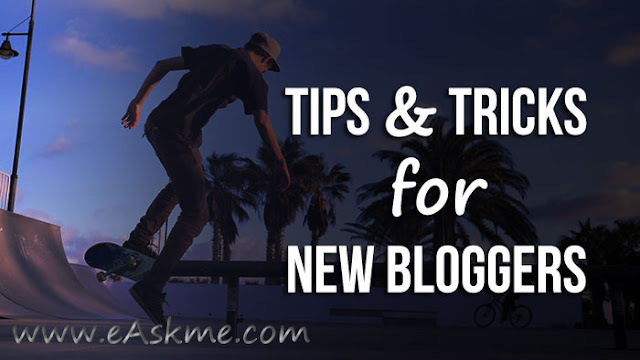 Blogging can change your life and you cna do it by following above tips. If you like this article the don`t forget to share on Google Plus and Twitter. If you have any suggestion do share with us in comments.